Since late 2014, I've been publishing assets to the YoYo Games Marketplace for Game Maker: Studio developers to use in projects of their own. I also occasionally post free GameMaker tutorials and project source code on my blog and GitHub. If you want to request an asset or hire me for commission-based work, contact me. 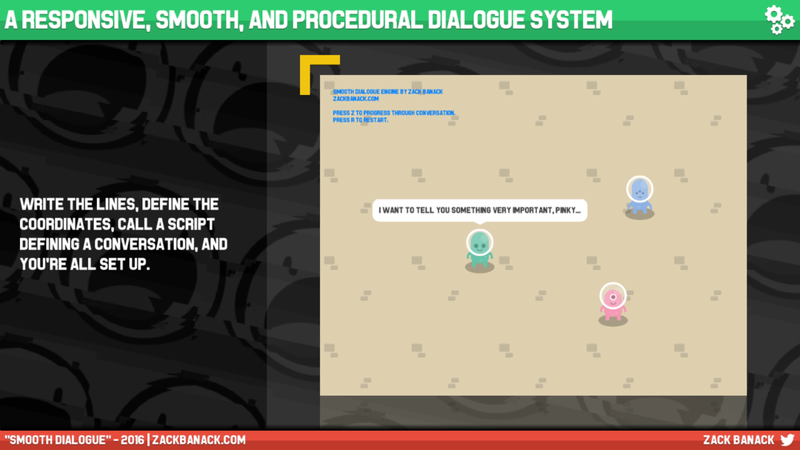 A buttery-smooth and expansive procedural dialogue system. Silky smooth, multi-directional scrolling with momentum and bounce-back. 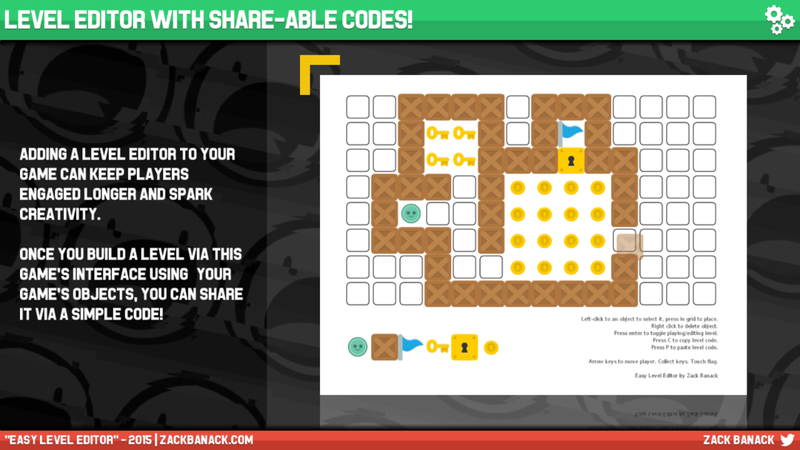 Keep players engaged longer by giving them the power to build their own levels and share them with friends via a code. Keep track of stats, organize data, and visual arrays in flexible bar and line graphs. Record player movement and animation and replay it upon death to view all attempts, like seen in Super Meat Boy. 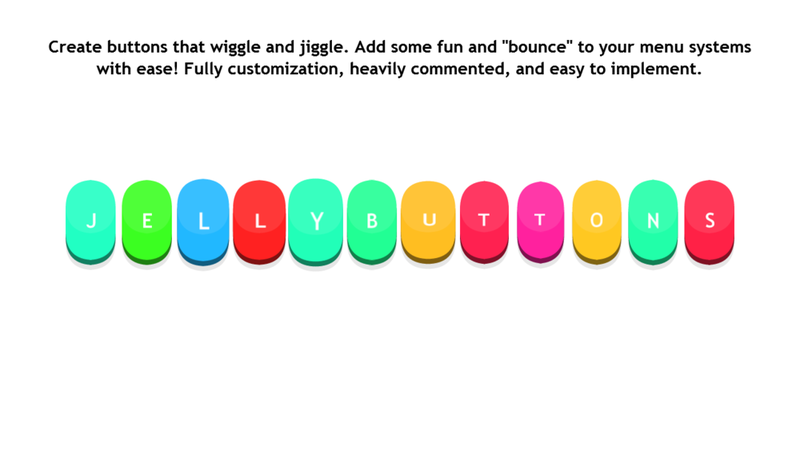 Create buttons and wiggle and jiggle for a little extra fun in your menus. A ready-to-use out-of-the-box memory (also refereed to as matching or Concentration) game engine that's lightweight, customizable, and sleek. 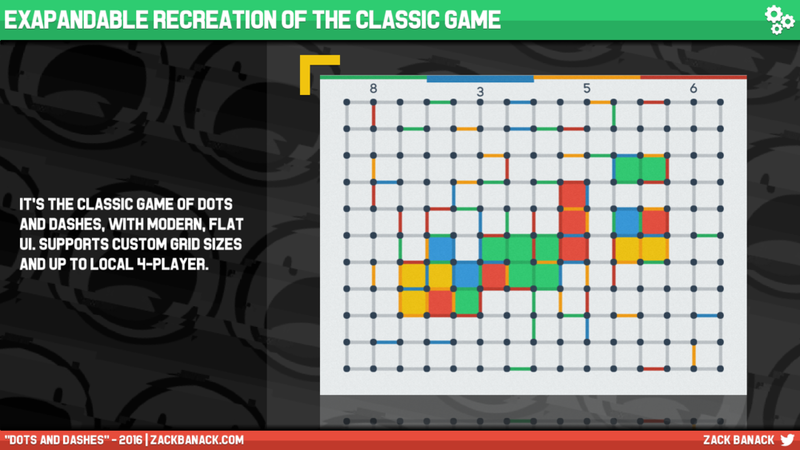 It's the classic game of Dots and Dashes with modern, flat UI and support for custom dimensions and local 4-player. Survive as long as you can against up to three other players (or bots) in a fast-paced arena game where you must not collide with each other's paths. 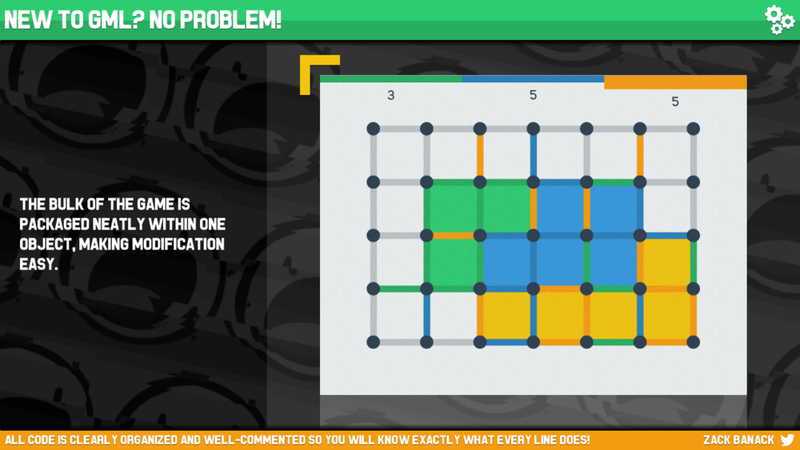 It's the classic game of "Flood It", featuring expansive gameplay, allowing you to add as many or as few game modes and colors as you would like. This is a more polished and complete game than what was built in my free tutorial, Recursive Flood Fill Part II: Making a "Flood It" Game. It's the classic game of Hangman with wiggly graphics and over 800 built-in puzzles to solve across five categories. A lightweight, expansive shooter game where you destroy enemies by typing words. string_split_tag(str, tag) - Pseudo-XML parser script. Works well when stripping data between tags using GM:S's asynchronous functions. exist, otherwise, returns an empty string. ex. ret: "This is a sentence."